In 1492, Columbus visited the island of Cuba. Legend has it that his sailors were introduced to "Cohiba" - a bunch of dried leaves smoked in a pipe called Tobacco. In 1982, three Cohiba sizes were introduced to the general public, namely the Lanceros, the Coronas Especiales and the Panatelas. Three more sizes were added to the brand in 1989 as follows: the Esplendidos, the Robustos and the Exquisitos, which completed what is known as "La Línea Clasica". 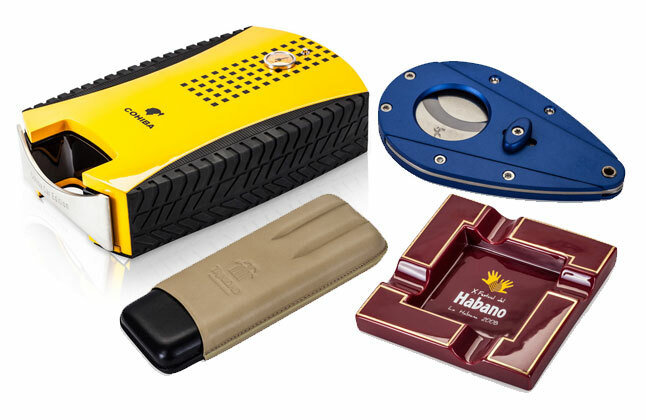 Five more sizes were added in 1992 creating the "Linea 1492": the Siglo I, II, III, IV and V.
Cohiba is considered the “King of the Cubans” as only the finest tobacco leaves are used.